In a potential merging of two key Apple suppliers, Foxconn has officially bid $5.3 billion to take over Sharp —a move that would resolve the display maker's considerable growing debts. Foxconn is said to have significantly outbid other contenders for Sharp, according to The Wall Street Journal, putting it in a strong position to take over the Japanese company. A competing bid from Innovation Network Corp. of Japan was less than half Foxconn's offer. Any deal must be approved by local officials, who may prefer the INCJ bid because it is a Japanese company. But Foxconn's bid is said to be particularly compelling because the Taiwanese company has agreed to take on all of Sharp's debt. Reports from last year suggested that Apple could contribute to Foxconn's purchase of Sharp. But Thursday's report gave no indication whether Apple played any part in Foxconn's $5.3 billion bid. Apple already has a major stake in Sharp's LCD business —the company's Kameyama plant No. 1 in Japan solely produces displays for Apple's iPhone. Apple is said to have supplied more than half of the 100 billion yen, or $987 million, needed to transition the plant from HDTV panels to smartphone LCDs, giving the Cupertino company operational control of the facility. 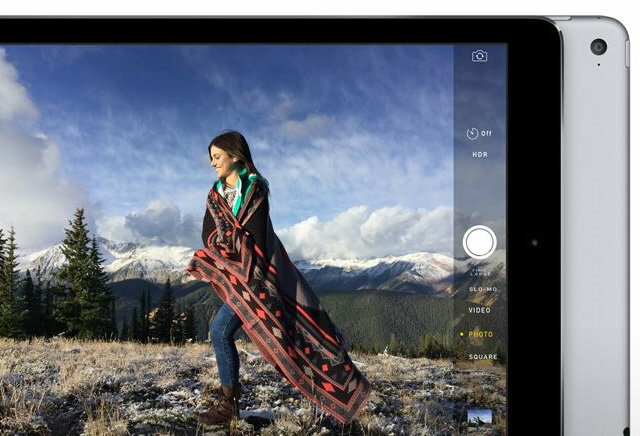 In addition to iPhones, current iPads, and other Apple devices, Sharp is also believed to be the main supplier of Retina displays for the iPad Pro.